As we continue to enjoy our farm share in the fall (happy autumn!) we discover new ways to enjoy the deliciousness of the season. 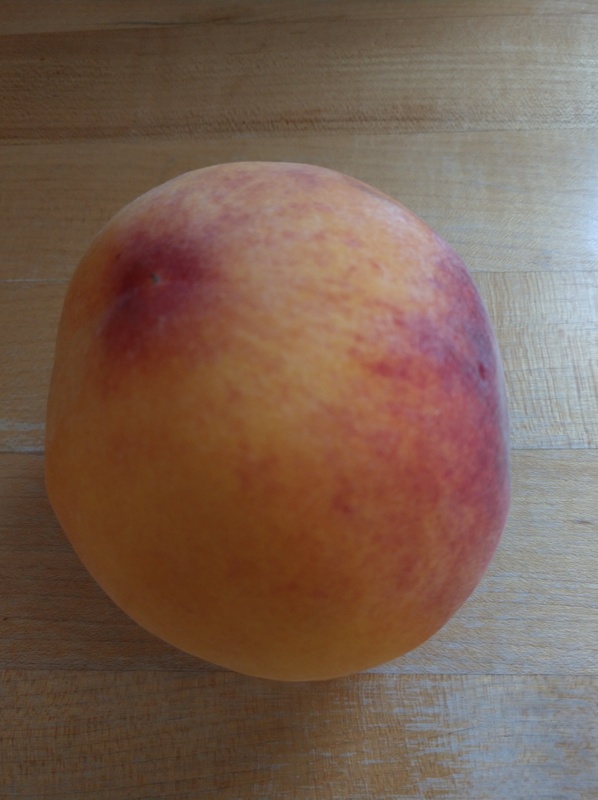 Here’s what we made with farm fresh white peaches! Make a biscuit dough – mix two cups of Bisquick with 2/3 cup milk and a few dabs of honey for sweetness. Because we love to bake and cook with stones, we spread the dough evenly on a pizza round stone. 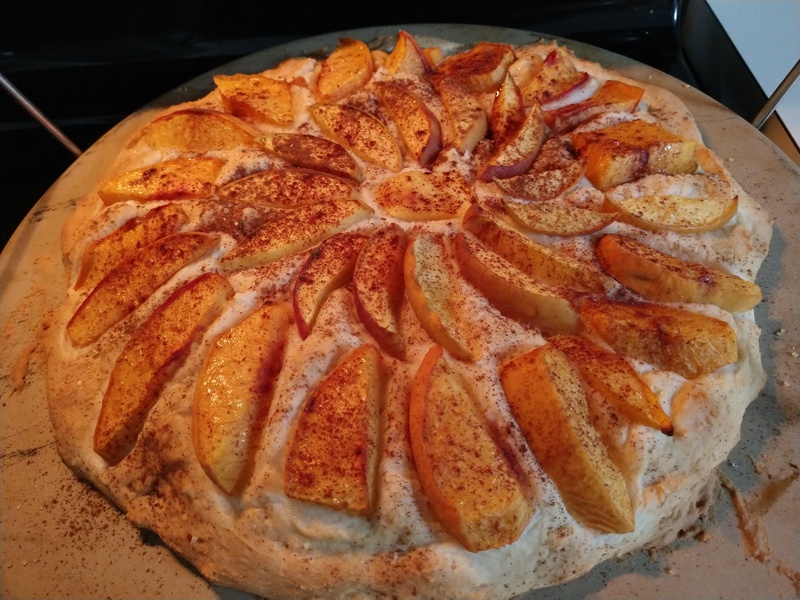 The peaches were cut into slices and sprinkled with sugar and cinnamon. Bake at 350 degrees for about thirty minutes.